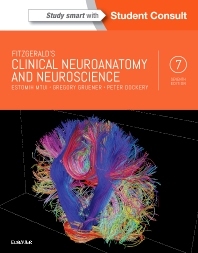 Utilizing clear text and explanatory artwork to make clinical neuroanatomy and neuroscience as accessible as possible, this newly updated edition expertly integrates clinical neuroanatomy with the clinical application of neuroscience. It's widely regarded as the most richly illustrated book available for guidance through this complex subject, making it an ideal reference for both medical students and those in non-medical courses. Complex concepts and subjects are broken down into easily digestible content with clear images and concise, straightforward explanations. Boxes within each chapter contain clinical information assist in distilling key information and applying it to likely real-life clinical scenarios. Chapters are organized by anatomical area with integrated analyses of sensory, motor and cognitive systems, and are designed to integrate clinical neuroanatomy with the basic practices and clinical application of neuroscience. Opening summaries at the beginning of each chapter feature accompanying study guidelines to show how the chapter contents apply in a larger context. Core information boxes at the conclusion of each chapter reinforce the most important facts and concepts covered. Bulleted points help expedite study and retention. Explanatory illustrations are drawn by the same meticulous artists who illustrated Gray’s Anatomy. Each chapter includes accompanying tutorials available on Student Consult.